Click image to enlarge. More information online. Since its establishment in 1991, TasBash has raised more than $2 million for Tasmanian children in need, including those who are sick, disadvantaged for have special needs. Variety Tasmania says TasBash is not a race or a rally, but an adventure with mates driving cars that are specially themed or branded. 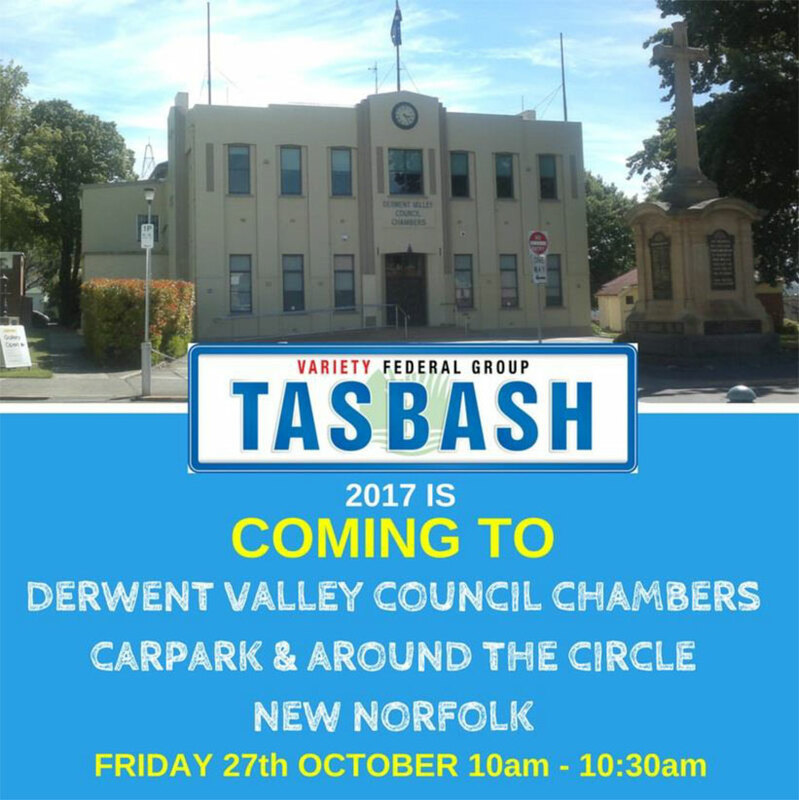 "Variety TasBash is for those with a sense of humour and adventure, who love cars and don’t mind getting a little dirty! Every dollar raised in Tasmania stays in Tasmania," the organisers say. TasBash 2017 started at the weekend and the fleet will roll into New Norfolk on Friday morning for a meet-and-greet in the Derwent Valley Council Chambers car park and around Circle St from 10am. Later, the TasBash participants will have a lunch stop at the National Park Hotel on their way to the Lake Pedder Wilderness Lodge. Among the participants in TasBash 2017 are locals John and Jan Simpson for the 16th and 15th year respectively, along with crewmates Denise Burns (15th year), Jim Percival (15th year) and Lynne Coleman (10th year) in Car 62, "Puff the Magic Dragon."